"It is through you, Mary, that the light of the onlybegotten Son of God has shone upon those 'who dwell in darkness and the shadow of death'." To-day is Lady Day when we celebrate Gabriel's announcement on behalf of the Father that His Son would dwell amongst us, providing that the vessel chosen for His birth says "yes". Of course we all know Mary's answer, the most significant in history: "be it unto me according to your word." 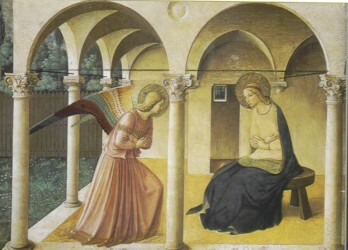 Perhaps no other event has been more lovingly portrayed in literature and art as the Annunciation. 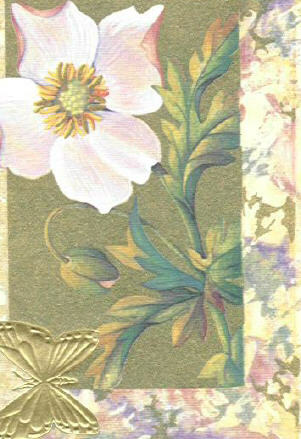 One has only to recall those delicate porcelain paintings of Filippo Lippi, Fra. Angelico, and Leonardi da Vinci portraying the maiden and messenger. The child-bearing of Mary is foretold in the Old Testament. 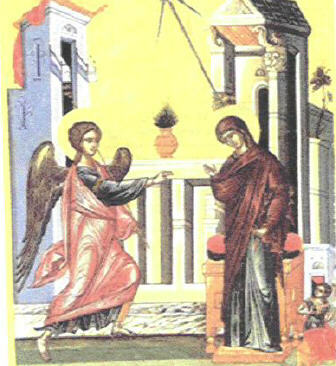 The Annunciation is the fulfilment of God's promise, given after the sin of Adam and Eve. The sin which causes our blindness springs from Adam's disobedience, what Augustine called 'original sin', and consequently severed his union with God. But before God cast Adam and Eve out of the Garden, He promised that 'the seed of the woman will crush the head of the serpent', that is the evil of sin. So as the 2nd Vatican Council pronounced, 'she is already prophetically foreshadowed in that promise made to our first parents after their fall into sin' as well as in the prophetic writings, which foretell of her coming as "the Virgin who is to conceive and bear a son, whose name will be called Emmanuel". Mary's acceptance of the angel's message, reminds all of us of our serious responsibility to accept God's plan for our lives. She becomes a model. Her vocation belongs to every Christian, as well as to the Christian community. Through our willing obedience to the word of God, the Holy Spirit dwells within us, in the depths of our being, and there forms Christ in us. We bring him forth in our world, as we learn to let his mind inform ours, and as we put into practice the love of God, which was embodied in him and shed abroad in human hearts by the Holy Spirit. The Annunciation reminds us that we too are overshadowed by the power of the Most High, that Christ is to be formed in us, and that we are to be the means by which the love of God enters the world and to manifest his reconciling and renewing power. Mary you alone who was deemed worthy to receive the fullness of the Spirit did bear in your womb Him Who is the fountain of this gift. Mary you who are the embodiments of beauty and loveliness did become a wondrous tabernacle for the Saviour of the World. O flower of the field who brought forth the lily of the valley; O holy Mother, gracious Lady, help us to live in the light and truth of your Son. Be ever with us now, and at the hour of our death. The day will tell you who this ‘blessed among women’ is: we call it our Lady-day; and the text will tell you why she comes into the day, because the Angel to-day came in to her. And the Angel will tell you why he to-day came in to her; she was ‘highly favoured’ and ‘the Lord was with her,’ was to come himself this day into her, to make her the most ‘blessed among women,’ - sent him only before to tell her so- to tell her, he would be with her by and by himself. This makes it Annunciation-day, the Annunciation of the Virgin Mary, as the Church calls it, and the annunciation to her, as we may call it too. 1. The annunciation or announcing and proclaiming of Christ unto her, that he was this day to be incarnate of her, to take that flesh to-day upon him in the womb, which he was some nine months hence, on Christmas-day, to bring with him into the world. And 2. The annunciation or announcing, that is proclaiming of her ‘blessed among,’ above ‘women’ by it, by being thus ‘highly favoured’ by her Lord’s thus coming to her; - a day, upon these grounds, fit to be remembered and announced or proclaimed unto the world. Mary, you have taught us what true disciple means when you replied to the Archangel Gabriel, "Be it uinto me according to thy word." Let us always ty to imitate our lady who always points us to her Son.